At the beginning of the school year, I insisted that Frida Khalo be added to the school artist of the month curriculum. Then, April rolled around and I realized that Frida Khalo, her art and her story, might be considered pretty heavy stuff for a group of 10 year olds. As teachers, we wield a special power in the lives of special, little people – I often feel it is our responsibility to ensure students are exposed to people, to ideas, and concepts that will make those wheels turn. Who better at making those wheels turn than the Mexican treasure that is Frida Khalo? A few months ago, while visiting Mexico City, I had the opportunity to visit La Casa Azul. We waited on line for over two hours, and made it in just before closing time. While standing on that line, I thought about the first time I saw her work. Many years ago, I stumbled across Me and My Parrots, one of her most famous and well-known self-portraits. 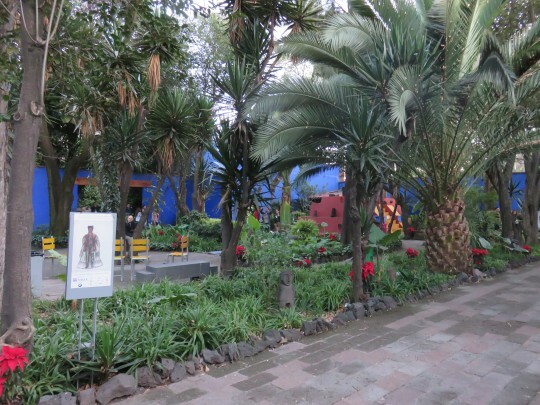 The courtyard of La Casa Azul, Frida’s house, which is now a museum. I was immediately struck by the intensity of the woman’s gaze, the confidence in the way she sat, the warmth emanating from her beautiful brown skin. Her hair was dark and thick like rope. My eyes lingered on that unapologetic monobrow. She even had a faint trace of a mustache, just like some of my aunts. And just like some of the aunts, and my mother, the woman in the painting exuded the silent but fierce strength many Latin@ women possess. Frida loved Mexico, lindo y querido. She loved, cared and worried for her pueblo greatly. Although many people celebrate her feminism, and the homage she pays to indigenous Mexican culture in her artwork, they tend to overlook the political aspect found in her work, in which she strongly criticizes notions of capitalism and democracy. We are now living in times of racial and political turmoil. Some say we are well over due for a revolution. I say, the revolution has already begun. 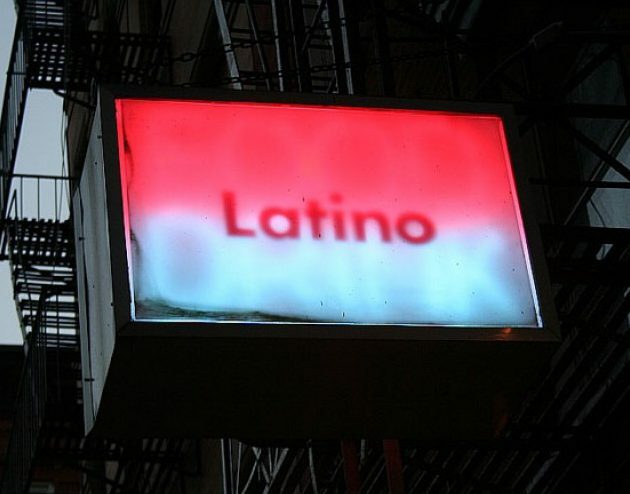 Every day that I step into the classroom at my predominately white school, I step in not only as a teacher, but also a proud Latin@ woman, hungry for change and ready to empower a new generation with a strong sense of humanity and justice, sprinkled with a dash of love and interest for all things Latin@. Thanks, Frida. The kids loved you.